Two things entered my mind when I found out about this story from the wonderful Read Diverse Books – first was coming to the realisation that this was my first experience with a novelette and second, it was also the first time I had read a book centred on Chinese mythology. I can safely say that I give you all permission to recommend me all the novelettes and Chinese mythology you can think of because I loved this story. It is short (coming in at around 11,000 words) and although you know this at the beginning, it is still bittersweet when it ends so soon. The Terracotta Bride follows the story of Siew Tsin, one of many residents in the tenth court of hell after dying at a young age. She was married off to the richest man in hell, despite her best wishes, but realises that in a place based upon wealth, she could be in a much worse situation. However, everything changes when one day, her husband brings home a new bride but this isn’t any ordinary woman. Yonghua is an artificial woman constructed entirely from terracotta. What follows is the budding relationship between Siew Tsin and Yonghua and their husband’s first wife, Ling’en. The three women are far more intelligent than their husband expected and as they grow closer, the mystery and origins behind Yonghua’s creation may show the secret to everlasting life or a very final death. Despite it being so short, these three women were wonderfully developed both as individuals and as a group. I loved Siew Tsin and her gentle demeanour despite literally being in hell, Yonghua and her curious nature and Ling’en and her strong will. The three become a force to be reckoned with against their husband. A stand-out scene for me was Yonghua telling Siew Tsin to run and then entered into a battle with terracotta assassins single-handedly. I’m so here for female relationships when they look out for each other – even if the rest of the story hadn’t of been my cup of tea, these women brought it to life. The setting and the atmosphere Zen Cho created with magical, bringing a whole new depth and outlook to hell. This is a place where money can buy you anything and luxury is easily achieved and because of this, the very world became rich in more ways than one. The world-building was excellent in such a short amount of time, something that full-length novels sometimes struggle to achieve. The ending was spell-binding, incorporating the myth of the red string of fate which is all I will say without giving away spoilers. Upon finishing, I alternated between wanting more but being satisfied at how it ended. 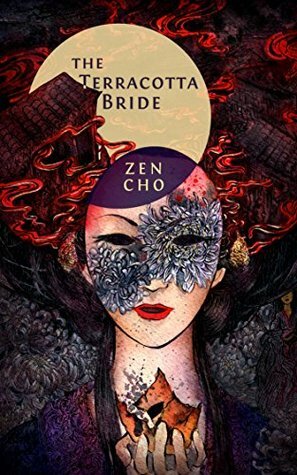 I also immediately went and ordered Zen Cho’s other novel, Sorcerer to the Crown and I’ll be reviewing that on the blog in the new year.